School of Chemistry, Bangor University, Bangor, Gwynedd, United Kingdom. Igor Perepichka is a Professor of Chemistry at Bangor University, UK. He obtained his MSC Degree (Diploma in Chemical Engineering) from Donetsk Technical University in 1981 and his PhD in Organic Chemistry from the National Academy of Sciences of Ukraine (Institute of Physical Organic Chemistry, IPOCC NASU) in 1987. 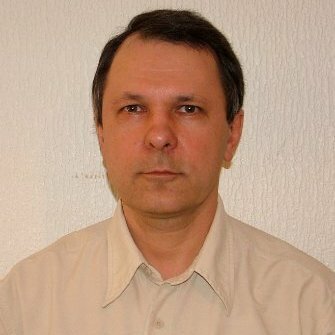 He started his career at IPOCC NASU in Ukraine as an engineer in 1981 and was promoted to Senior Research Scientist in 1989. He has held several visiting positions, including Alexander von Humboldt Fellow (Würzburg University, Germany, 1995–1997), Visiting Scientist (CEA Saclay, France, 1999 and CNRS, Angers, 2000–2001), Invited Professor (Angers University, 2001–2002), Senior Research Associate (Durham University, 2003–2007). In 2007 he moved to the University of Central Lancashire (Preston, UK) as Reader in Chemistry. In 2010 he was appointed as Professor of Chemistry at Bangor University, UK. His work is documented in over 100 papers in refereed journals, over 20 patents and two dozen books and book chapters, including “Handbook of Thiophene-Based Materials: Applications in Organic Electronics and Photonics” (I. F. Perepichka, D. F. Perepichka, Two-Volumes Set, Wiley, 2009). Prof Perepichka’s field of research is organic materials chemistry. The main research activity focuses on design, synthesis and studies of novel organic π-functional systems, from small molecules to conjugated polymeric materials, toward their applications in organic electronics, optoelectronics and photonics. Current research interests encompass the development of functional π-conjugated materials with tailored electronic properties in view of applications in solar energy conversion, electronic and photonic devices, and nanoscience: novel conjugated π-functional systems, reactions and methods of their synthesis; conjugated polymers with tailored properties and functions; conductive, semiconductive and photoconductive pi-conjugated materials (from small molecules to oligomers and polymers); charge, electron and energy transfer processes in pi-systems; intermolecular and intramolecular charge transfer processes in π-conjugated systems; electroactive and photoactive π-functional systems; organic nanomaterials, supramolecular architectures and self-organized systems; organic molecular and polymeric materials for light-emitting devices, organic photovoltaics, field-effect transistors, electrochromic devices, non-linear optics, nanotechnologies, sensors/biosensors etc.